This 1.5-hour session gets you started on one of the most satisfying journeys of your life. 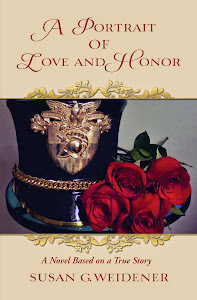 Memoir lasts a lifetime and is passed down from generation to generation. 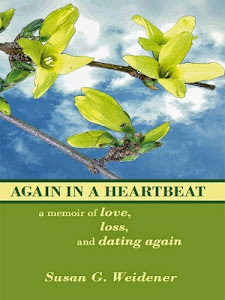 Taught in private consultation by: Susan G. Weidener, author of the critically-acclaimed Again in a Heartbeat, a memoir of love, loss and dating again, selected as a 2011 Editor’s Choice by Story Circle Network. 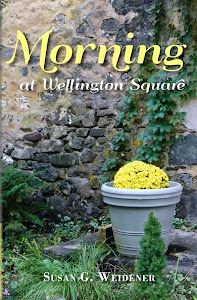 The sequel, Morning at Wellington Square, a memoir of a woman's journey from loss to finding healing through writing, has been described as a "powerful odyssey . . . finding in the ordinary life, the extraordinary . . . and the universal truths of day-to-day living." What is memoir and how it differs from autobiography. Plotting out the narrative arc of your story. Getting to the "heart" of what you are trying to say. Leaving with a rough draft..
A signed copy of Susan’s memoir, Again in a Heartbeat, a memoir of love, loss and dating again or Morning at Wellington Square. Cost: $100. Check should be made out and mailed to: Susan Weidener, 75 Jennifer Drive, Chester Springs, PA 19425. Please enclose with check a note with your name, phone number and email address and the name of the person who will be writing the memoir. An author, journalist and experienced book editor, Susan received her BA in Literature from American University and her MS in Education from the University of Pennsylvania. She joined the staff of The Philadelphia Inquirer in 1991 and worked as a staff writer until 2007. 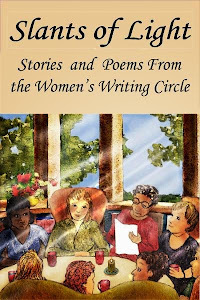 Susan started the Women's Writing Circle, a critique and support group for writers in suburban Philadelphia. She offers writing workshops and talks on memoir and has appeared as guest speaker at universities and libraries throughout the Philadelphia region. References and testimonials from satisfied clients included. "I so much appreciate the space you held for me, the questions you asked that created openings that I did not see before, and the words of advice and encouragement that you provided. It was amazingly freeing to be able to share my ideas with such an accepting soul." Barb Daanen - Racine, Wisconsin.